There are -39 days and -19 hours left until Pet Theft Awareness Week! 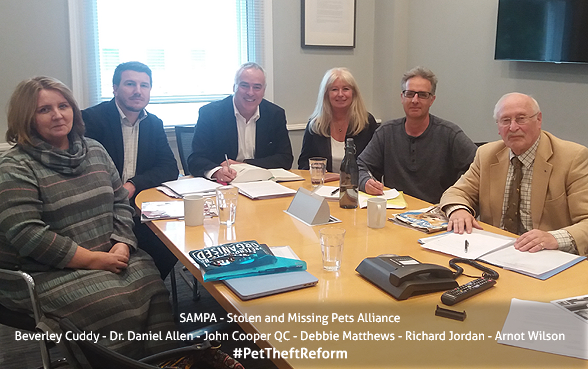 Pet Theft Reform can be achieved by making minor revisions to existing legislation. 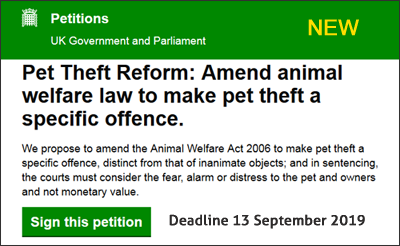 The 1968 Theft Act and 2016 updated guidelines: (fails to mention domestic pets anywhere within the current legislation which has led to confusion in the courts, as they continue to treat our pets as inanimate objects). 1. Reclassify Pet Theft as a specific crime in its own right within the Sentencing Guidelines, as is the case with vehicles and bicycles. 2. Revise the Sentencing Guidelines so the monetary value of a pet is no longer the main factor in sentencing an offender. The theft of a dog with a perceived monetary value of £50 should be treated the same as a dog valued at £5,000. As family members, pets are priceless and irreplaceable. 3. Aggravated sentence provision for pet theft to give the courts more extended discretion. 4. Treat pet theft as category two offence or above, to act as a serious deterrent. 1. Add pet theft to the Animal Welfare Act, as proposed by Rt Hon Ross Thomson’s Pet (Theft) Bill. 1. It is compulsory to microchip dogs but optional for veterinary practices and other animal-related organisations to scan. Making scanning and checking microchip registration compulsory will help reunite missing and stolen pets. 2. Cats and other pets could be included. 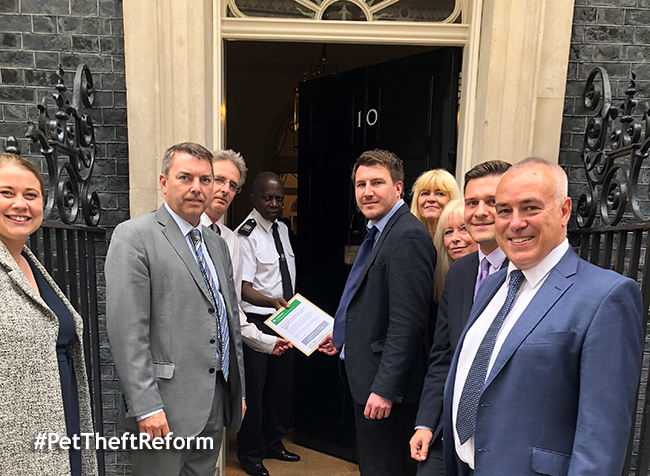 Pet thieves see Pet Theft as a low risk high reward crime and we need #PetTheftReform to protect our pets. Pet Theft Petition - Success! Petition now closed with target achieved. Thank you to everyone who signed. 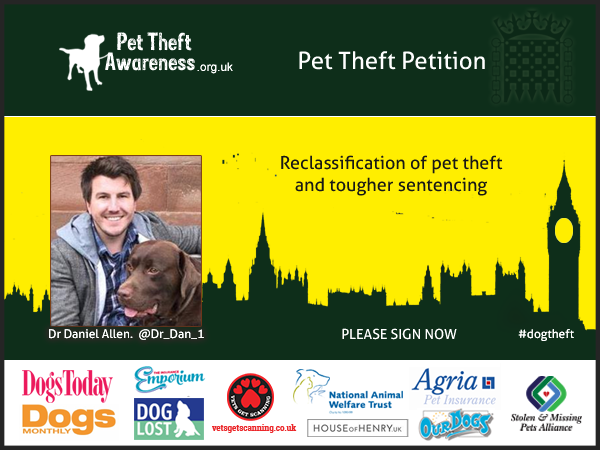 The purpose of this petition is to reclassify the theft of a pet to a specific crime in its own right. Click here for more news from our blog!